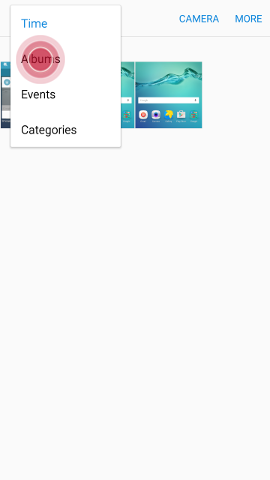 There are several ways to view screenshots on your device. Screenshots are copied to the clipboard and saved to the Screenshots folder in the Gallery. 1. 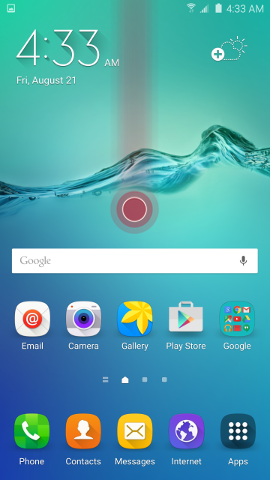 Open the Notification Panel by swiping from the top of the screen to the bottom. 2. Touch Screenshot captured to open the screenshot in the Gallery application. 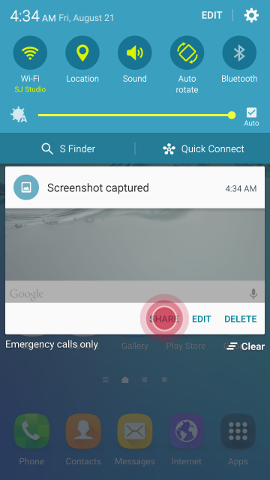 You can also quickly SHARE, EDIT, or DELETE the screenshot from the Notification Panel. Note: You may need to touch the notification and swipe down to access these options. 3. Touch and select Albums. 5. Touch the desired screenshot. 2. 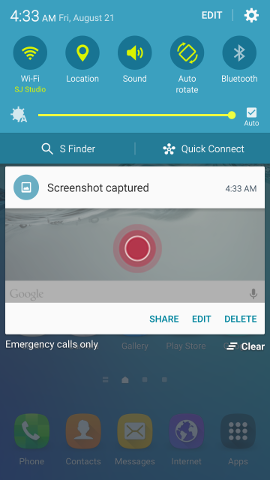 From the Screenshot captured notification, touch SHARE. 3. 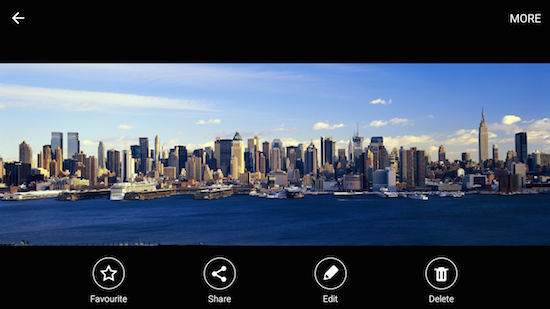 Share the screenshot using one of the available options. Sharing options vary based on applications installed and features turned on. 6. Touch Share at the bottom of the screen. 7. Share the screenshot using one of the available options. Sharing options vary based on applications installed and features turned on. • Favorite: Mark the screenshot as a favorite. • Share: Share the screenshot using one of the available options. 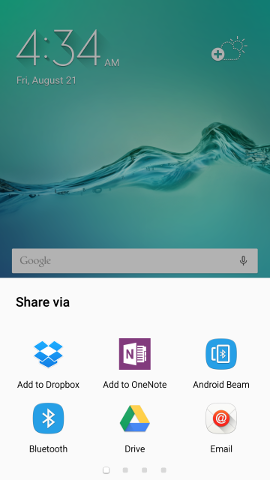 Sharing options vary based on applications installed and features turned on. • Edit: Choose to Crop the photo, Write on the photo, edit it using Photo Editor, create an animated GIF using Animate, or add it to a Collage. • Delete: Delete the screenshot. ◦ Details: View technical information about the screenshot, such as its size. ◦ Slideshow: Start a slideshow of the screenshots in the folder. ◦ Set as contact picture: Set the screenshot as a contact photo. ◦ Set as wallpaper: Set the screenshot as wallpaper.